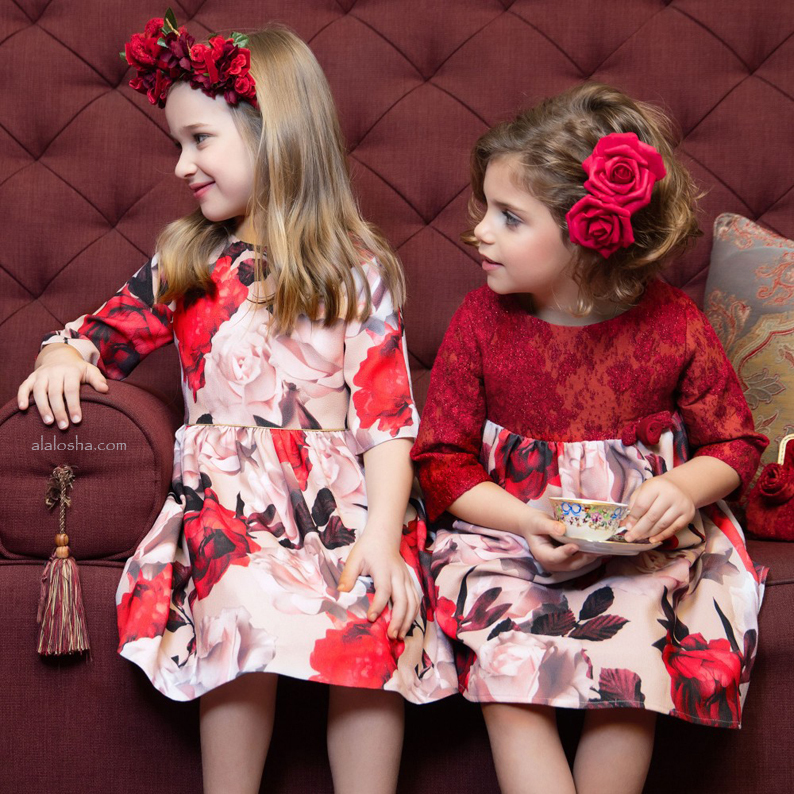 Must Have of the Day: The colour of love fits perfectly on Patachou girls! 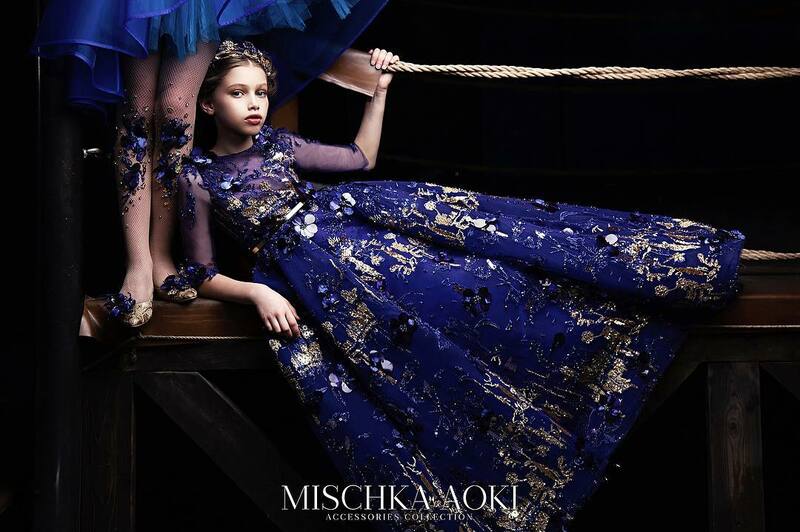 This collection encapsulates true opulence and luxury to ensure that girls remain at the height of comfort throughout the season without compromising on trendiness. With a lovely blend of colours and shapes, the selection offered by Patachou for this season defines elegance and sophistication through traditional eyes. 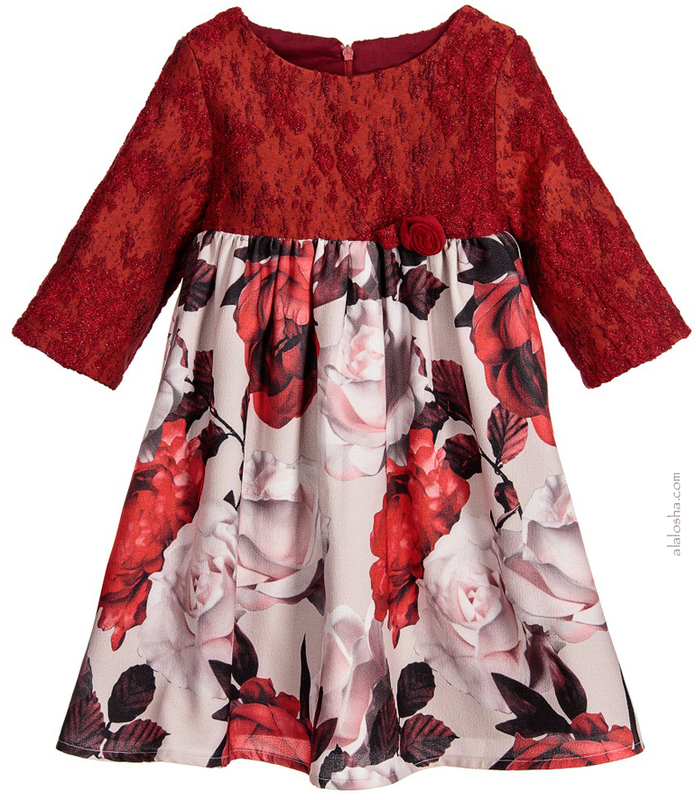 Girls traditional red jacquard coat by Patachou, with shiny gold, dome-shaped button fasteners down the front. 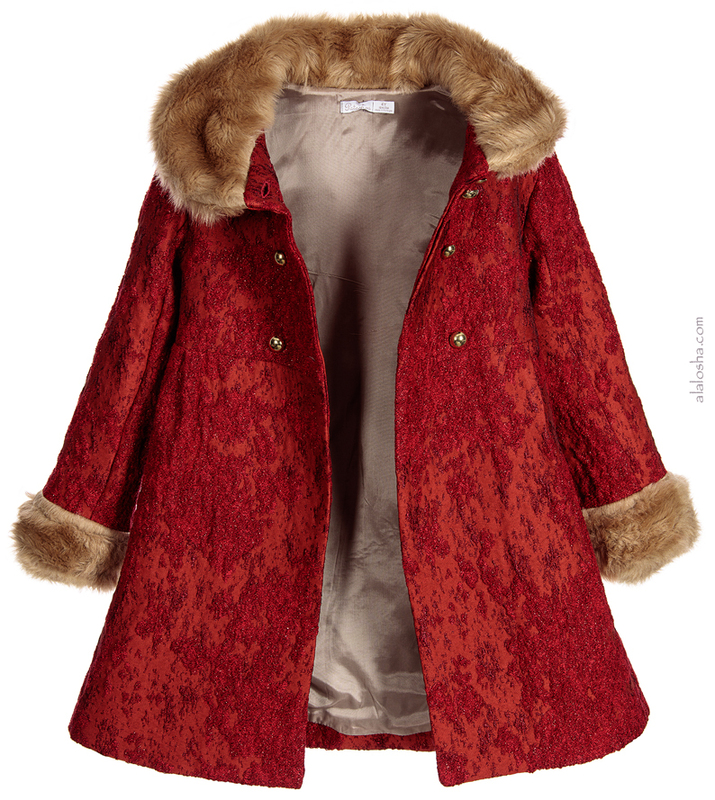 The coat has a synthetic beige fur collar and cuffs which contrast with the luxurious jacquard, which has a red shiny thread running through it. The coat is slightly pleated at the waistline and is fully lined in a silky beige polyester. There are concealed side pockets to keep little hands warm. 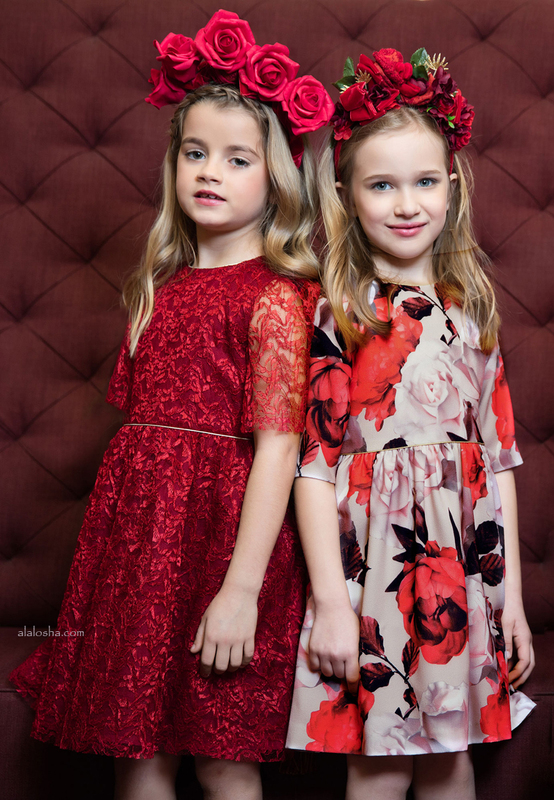 Girls pretty red and pink, dress by Patachou. The bodice is made from a soft textured jacquard with a metallic finish and has a velour rose appliqué. It is high waisted with short sleeves, a smooth cotton lining and fastens with a zip at the back. The pale pink skirt is made from soft crêpe with a pink and red rose pattern, which is gathered at the waist. Girls beautiful dark red shorts by Patachou with gold glitter piping and a soft cotton poplin lining. Made in a softly textured jacquard with a metallic finish. They have an adjustable waistband to fit slimmer young girls and a concealed zip on the side to fasten. 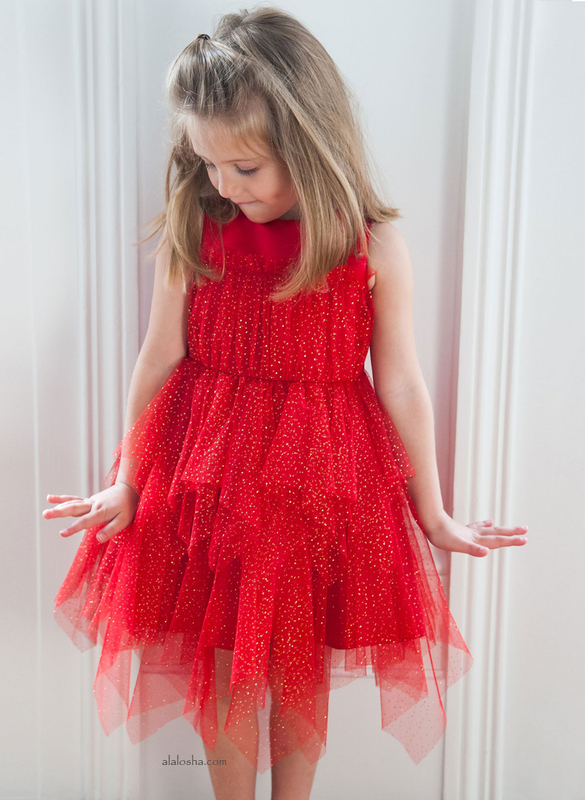 Girls pretty red, short-sleeved dress by Patachou. Made with a lightweight lace over a smooth cotton layer, fastening with a zip at the back. The sleeves have been left sheer and the dress has fine glittery gold trims. The bodice is fitted, with a full and voluminous skirt, which has gentle gathers around the waist and a tulle frill attached to the cotton lining.